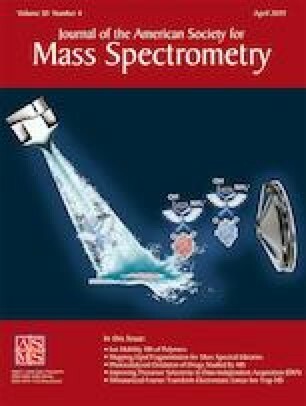 Previous studies have suggested that the loss in sensitivity of DESI-MS for large molecules such as proteins is due to the poor dissolution during the short time scale of desorption and ionization. An investigation into the effect of serine as a solvent additive leads to the interesting observation that there is a concentration-dependent improvement in protein signal intensity when micromolar to low millimolar concentrations of serine is combined with a suitable co-additive in DESI spray. This effect, however, was not observed during similar ESI-MS experiments, where the same solvents and proteins were sprayed directly into the MS inlet. This suggests that the mechanism of signal improvement in DESI is associated with the desorption step of proteins, possibly by facilitating dissolution or improving solubility of proteins on the surface in the solvent micro-layer formed during DESI. Other than poor dissolution, cation adduction such as by sodium ions is also a major contributing factor to the mass-dependent loss in sensitivity in both ESI and DESI, leading to an increase in limits of detection for larger proteins. The adduction becomes a more pressing issue in native-state studies of proteins, as lower charge states are more susceptible to adduction. 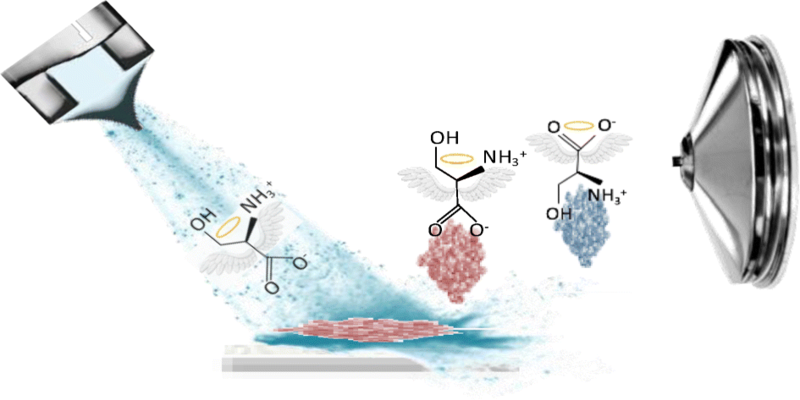 Previous studies have shown that addition of amino acids to the working spray solution during ESI-MS reduces sodium adduction and can help in stabilization of native-state proteins. Similar to the observed reduction in sodium adducts during native-state ESI-MS, when serine is added to the desorbing spray in DESI-MS, the removal of up to 10 mM NaCl is shown. A selection of proteins with high and low pI and molecular weights was analyzed to investigate the effects of serine on signal intensity by improvements in protein solubility and adduct removal. The online version of this article ( https://doi.org/10.1007/s13361-018-02129-8) contains supplementary material, which is available to authorized users. This study was based upon work supported by the National Science Foundation under grant no. CHE 1508626.